During WWII, Jews in Budapest were brought to the edge of the Danube, ordered to remove their shoes, and shot, falling into the water below. 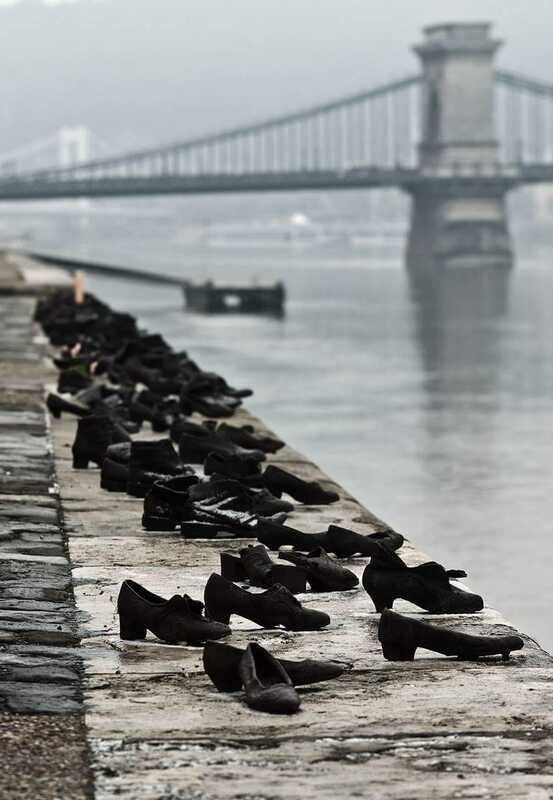 Sixty pairs of iron shoes now line the river’s bank, a ghostly memorial to the victims. That’s from the Old Testament prophet Micah, chapter 2, verses 1 through 3. Pop Quiz with serious implications: What are you and I doing today and the rest of this week to either encourage such actions or discourage them?